Kept Woman is loony Lifetime insanity with a scary dose of all-too-close to being ripped from the headlines. While Kept Woman isn’t based on a true story, it’s inspired by real events, but then gets a looking glass twist that incorporates the scary world of Men’s Rights Activists. Some spoilers below. 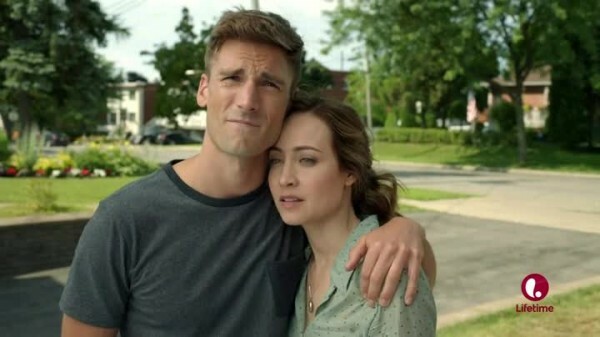 Newlyweds Jessica and Evan Crowder (Courtney Ford and Andrew W. Walker) have a bad experience in the city, including getting robbed, and then coming home to find an armed robber in their apartment. This is enough to scare Jessica into demanding a house in the suburbs. But thanks to them being young and poor, the only thing they can afford is way way way out there, meaning Evan has a hellacious commute and barely gets to see his wife, who now works at home doing graphic design. They maxed out their savings on the place, leading to fights over money and the lack of quality family time. Worse of all, Jessica’s fear of the city and wanting to live somewhere safer put her right next door to someone far more dangerous than some random guy with a gun who wants drug money. Shaun Benson breathes life into the creepy Simon, fleshing him out as a master manipulator who belief in his own superiority and place as a patriarchal god becomes his undoing. 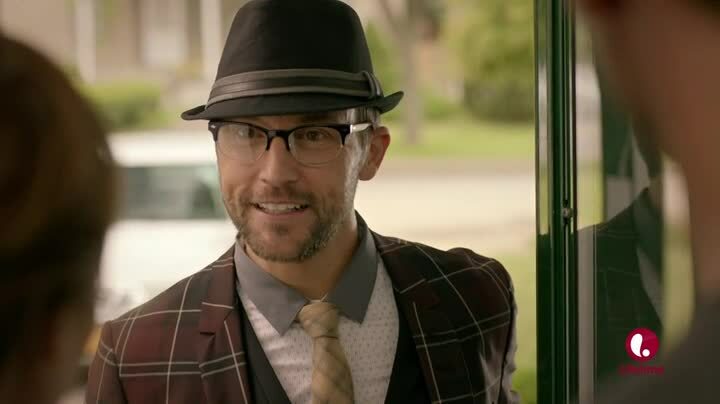 To the outside, Simon comes off as a reclusive hipster dork who has flashes of creepiness while trying to be nice. Those bits of creepy words turn out to be oozing from the cracks of his facade, and the creep monster underneath is a frightening beast capable of dishing out mental and physical torture while holding a carrot for those that willingly fall in line with his brainwashing. I think that “POLICE” label needs to be bigger. BIGGER! Simon appears as their new neighbor with some quirky but charming old fashioned senses, such as dated clothes and welcoming neighbors to the neighborhood. But he also mentions he teaches at the University, doing Men’s Studies, which causes a laugh from Jessica. Simon takes offense (but tries to hide it), and Jessica later apologizes, especially since Simon is around more to help her with problems than her own husband. But Simon’s friendliness is a mask, and beneath he’s sized Jessica up as his new bride, one day he strikes, and she awakens trapped in a mock up of a 1950s home straight out of Leave It To Beaver. The mockup is built underground, and behind a locked door that’s behind a locked door (both having numbered keypads) and layered with tons of soundproofing. There is no scape, and Simon promises lots of pain is Jessica doesn’t play nice, hurting her to prove a point. Another big problem is there is already the adoring housewife, Robin (Rachel Wilson), who must stand by her man despite her obvious discomfort with Jessica in the home. Simon informs Jessica that she’s trapped and is his new wife, and is part of the family. 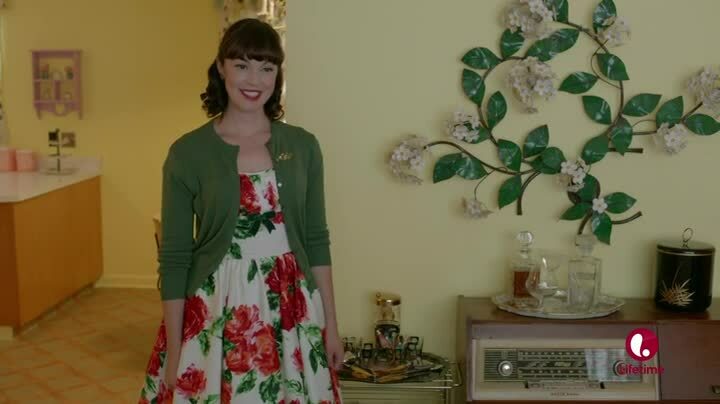 She needs to play alone and be the doting stay at home housewife (taking turns with Robin on the chores), as well as dressing the part with ridiculous 1950s clothes that she’s forced to model as well. 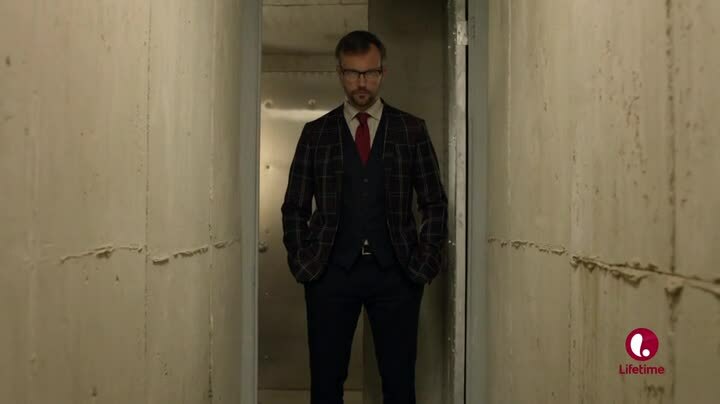 Any attempts to escape or even talk back means a world of hurt for Jessica, and Robin has to just stand there while Simon acts violent, still putting on a smiling face for him. Robin’s concern isn’t for Jessica’s welfare, but because she’s worried that Jessica is there to replace her. She gets especially apprehensive when Simon announces he’s alternating nights with the women. Robin admits there was another wife named Megan, someone Robin was forced to kill by Simon. As his attention becomes more and more focused on Jessica, Robin attempts to lie to Simon about Jessica’s plans for escape, but Simon kills her for her lies. Rachel Wilson was fantastic as the disturbed and PTSD-riddled Robin, but her scenes are far too few, and Simon is so creepy he wouldn’t put up with her long anyway. Simon covers for Jessica’s disappearance with a note claiming she’s leaving Evan and divorcing him. Simon also plays friend to Evan, a sympathetic ear as Evan vents about how Jessica left him with no notice and screwed him over. But Evan also realizes something is wrong, and snoops around. 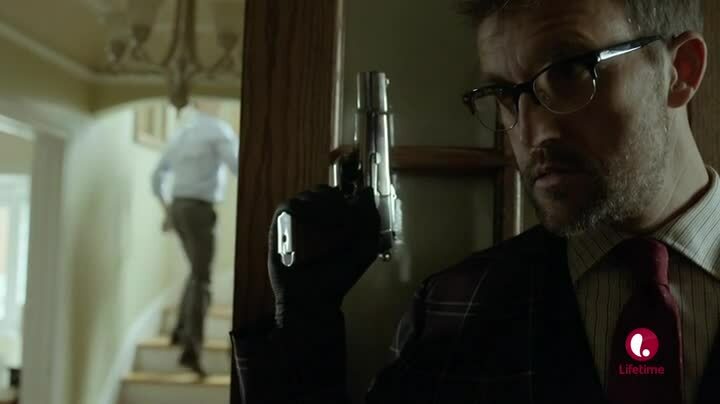 Simon uses the threat of killing Evan to keep Jessica in line. From the structure, it looks like Kept Woman wrote itself into a corner with Simon being far too cunning and dangerous. A subplot with Jessica being an amateur detective that does cases online with fellow sleuths helps push Evan into seeing through Simon’s games, but he has no proof because of just how good Simon is with hiding everything (and Simon killing off Evan’s police officer friend, Tyler Haynes (Troy Blundell).) The timeline stretches and Jessica is gone for months, living in Hell with Simon. As mentioned earlier, Jessica manages to beat Simon with his own patriarchy. Her baking a pie is Simon’s downfall. Not only does the smell of the pie alert Evan to Jessica’s presence in the house, but the sticky filling on Simon’s fingers reveals the access code to the underground door allowing Jessica to escape her prison. She also “marked” Simon with her lipstick, which was a joke she did to Evan when they first started dating, and was a clue to him that she hadn’t run off and that suspicion is afoot. 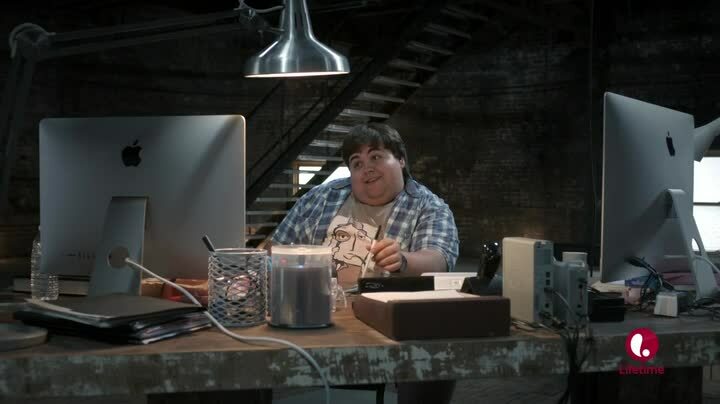 Jessica is also aided by a member of her sleuth crew, Oscar Garrett (Jesse Camacho), who gets worried when Jessica disappeared and Evan and Tyler ask him questions. He digs up information on Simon, including being tossed out of colleges for improper behavior with students and students disappearing at schools he taught at. The meat of the story isn’t the mystery, but the brainwash house of crazy run by Simon. Without Shaun Benson flipping from crazy to creepy to nice as the drop of a hat, Kept Woman would be forgettable trash. Instead, it’s fun crazy, and is the type of great exploitation stuff we come to demand from Lifetime, even if they’re inconsistent on delivering it. 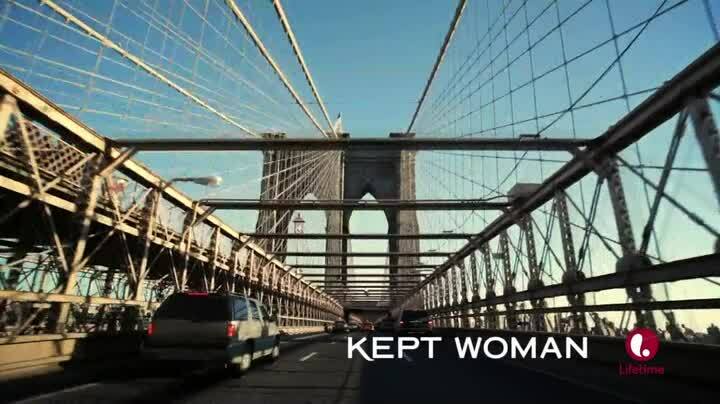 Kept Woman is a promise kept, compelling drama that you can’t stop watching because of just how warped it gets.